The principal task for WP4 is the compliance of the project with the EC provisions (Grant Agreement) and the Consortium Agreement by ensuring that the consortium complies with the rules on decision-making as defined in the Consortium Agreement. Implementation of the project primarily rests on research conducted by the indiviudal contractors as is agreed in the Grant Agreement. The coordination team consists of SKB. There are quarterly status meetings between the coordination team and all WP-leaders for project follow up. WP1: Improving the geological safety case knowledge of the behaviour of organic containing long-lived intermediate level wastes.WP2: Improving the safety case knowledge base about the influence of microbial processes on high level waste and spent fuel geological disposal. 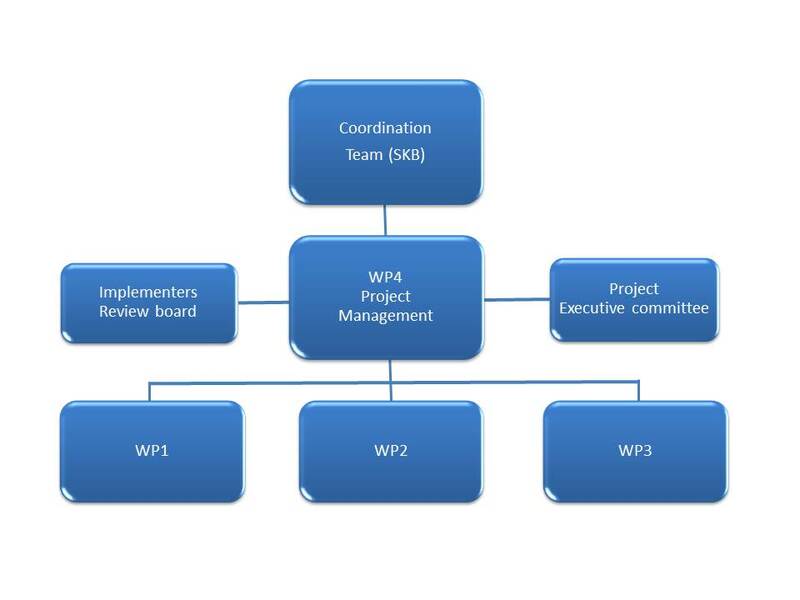 WP3: Integration, Communication and Dissemination.WP4: Project Management. The Project Executive Committee (PEC)have one representative from each party and meet at appropriate intervals in conjunction with Project Annual Meetings at the request of the Chair or at any other time when necessary at the request of one of the Parties. The Project Executive Committee (PEC) provides technical guidance and is responsible for the management and financial control, through the Project Coordinator, who is supported by administrative personnel. The Project Executive Committee has the ultimate responsibility for: all major decisions concerning the demonstration activities (within given time plans and budgets). The Implementers Review Board consists of Waste Management Organizations (WMOs) and regulators. The WMOs have the task to advice the Project Executive Committee in technical matters, mainly soundness and relevancy of the technical approach and assessment of the scientific and engineering standard of the work carried out and produced Deliverables. The regulators are invited to follow the progress of the work via the homepage, official meetings and publications.